​inspiring a community of lifelong learners." Blackwood Primary School is located in the heart of the picturesque Mitcham Hills just a short 10-minute walk from the centre of Blackwood. The school is well serviced by public transport with the Adelaide-Belair train stopping at Coromandel Station, immediately behind the school. Buses from Marion, Aberfoyle Park and Mitcham stop directly outside our school by our pedestrian crossing on Shepherds Hill Road. 20 minutes drive from the CBD of Adelaide. Find out the latest news and events. Download our Newsletters and Term Calendar. 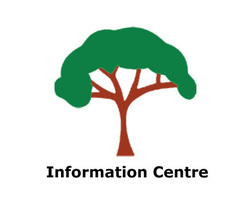 Visit our Information Centre for useful documents, Term Dates, information about OSHC and more. Find out more about our Curriculum and Learning, Explore our IB Program and Specialist Learning. Please visit the CFS website for current Fire Ban and Rating Information. This page was last updated on 13th February 2019.